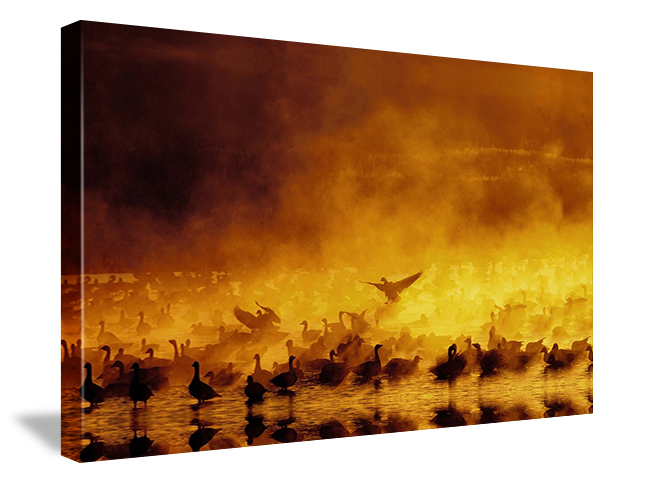 BIRDS AS ART FINE ART CANVAS PRINT: FIRE IN THE MIST/JUST TWO DAYS LEFT! Canon 800mm f/5.6L IS lens with the 1.4X II TC and the EOS-1D MIII. ISO 320. Evaluative metering +2/3 stop: 1/400 sec. at f/11 set manually. Rig supported by the BLUBB (Big Lens Ultimate BeanBag). 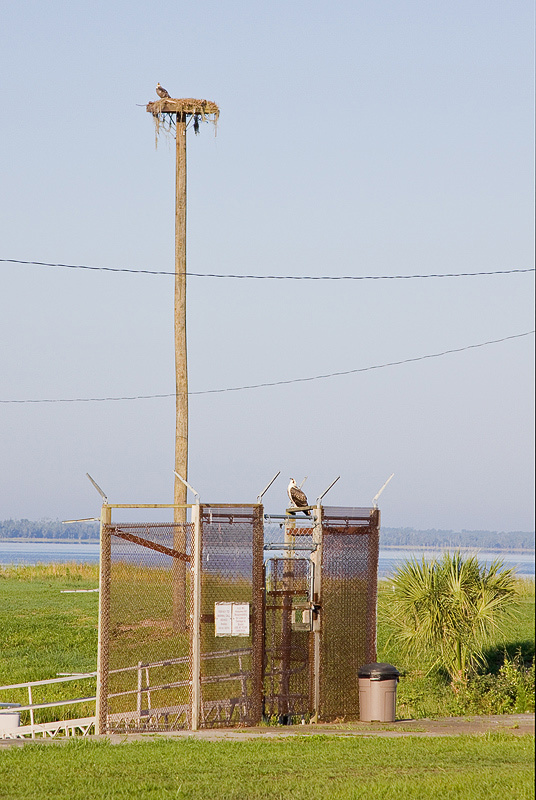 The opening image above is a tight shot of the bird on the wire fence. Where would you put the car in order to try for a head shot? Do know that juvenile birds can be ridiculously tame. JM: Thanks for the advice on the Mongoose M3.5 tripod head; it is excellent and has performed flawlessly. I am using it with a Nikon D3 and (usually) the Nikkor 200-400 lens. I have the Mongoose mounted on an Gitzo GT3530 LS tripod. The tripod works fine when legs fully extended but it is very unstable and has fallen over many times when the legs were not fully extended resulting in damage to my Nikkor 200-400 lens. (I had to repair the lens with heavy duty bonding glue in remote Alaska because the tripod mount ring broke.) Can you recommend a larger tripod that is more sturdy? AM: Before I answer, I need to say a few things. #1: Here is the rule for big lens safety: if you leave your tripod unattended, it will fall over and result in damage to your equipment. Notice that it is not a matter of if, but of when. #2: Before you set up a tripod, make sure that the legs of the tripod are all approximately the same length. If you put a rig down with one leg extended more than the other two, it is likely to fall over. #3: Tripods that are fully extended are more likely to fall over than tripods with their legs shortened. And when they do go over, the damage will be greater. #4: When setting down a tripod you need to be absolutely sure that the legs are fully splayed. With Gitzo tripods this means that the tab at the top of each of the three leg sections must be fully in and flash to the stop. And this goes double on windy days. #5: When setting down a tripod on uneven ground it is imperative that the tripod platform be relatively square to the world, that is, the platform needs to be approximately parallel to level ground. To do this, you need to either lengthen the downhill leg or legs, or adjust the angle of either one or two legs by pulling out the aforementioned leg tab(s) and then pulling the leg or legs away from their original position so that the tripod platform is square to the world. The former is a dangerous choice; if you leave the uneven ground or hillside and put the rig down without remembering to even the leg lengths, the rig will likely topple. #6: Here is the rule for big lens safety: if you leave your tripod unattended, it will fall over and result in damage to your equipment. Gitzo GT5541LS Tripod, Item #: GT5541LS. Price: $949.98 plus shipping. This monster replaces the CF 1548, but is lighter, stiffer, and stronger. We recommend this model for folks with 400mm f/2.8 or 600 mm lf/4 lenses that do not feature IS or VR technology, and for those who—in their efforts to create the sharpest possible images—demand the most rigid long lens CF tripod available. The next day, Joel e-mailed me an admission of guilt… On all counts. Canon 800mm f/5.6L IS lens with the 1.4X II TC and the EOS-1D MIII. ISO 400. Evaluative metering +1/3 stop: 1/400 sec. at f/8. For small j-peg files to be used electronically, I generally sharpen three times using Filter/Sharpen/Unsharp Mask with the following settings: Amount: 125%;Radius: 0.2 pixels; Threshold: 0 levels. Some folks prefer sharpening once at 350/0.2/0. As file size increases (generally for images that are to be printed in one form or another), there are two options. You may decide to increase the Amount to somewhere between 300 and 500 while keeping the radius approximately the same. (In this case, you may need to sharpen more than once while decreasing the amount each time). Or you may increase the Radius to somewhere in the range of 0.85 and 1.25 while keeping the Amount roughly the same. For natural history images, the threshold is usually set at 0 to yield the greatest amount of detail. For portraits of people, the threshold might be set as high as 4-8 so that skin imperfections are not emphasized. For natural history images made at high ISO settings or those with large areas of sky, threshold settings of from 2 to 3 may yield the best results. If you ask 100 good digital photographers exactly how they sharpen their images, you would probably get 100 totally different answers. To attain the very best results, experiment with each image by trying a range of sharpening settings and comparing the results. 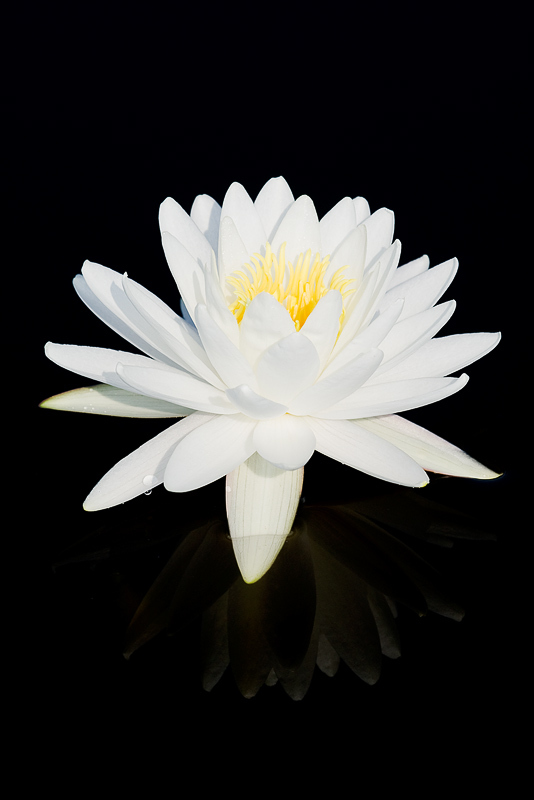 When sharpening an image for printing, whether it be for a 4X6 inch or for a 30X45 inch print, the image on the screen should look slightly to somewhat oversharpened, this because some ink is absorbed when it hits the paper. And, as above, a 400 wide JPEG will need very little sharpening, an 800 wide a bit more, a 1400 X 1050 well more, a 4X6 inch print well more than that, an 11 X 16 print still more, and 30X45 print lots more than that, and a billboard, tons more. Sharpening in one round or two or three is a matter of personal preference and should not affect the final appearance of the image whether for web or for print. Each photographer needs to study the above suggestions carefully, use the #s as a starting point, and then learn with practice to sharpen their images to their taste. When doing so, they must realize that even though images may be the same size (as far as pixel dimensions go), they may need quite different sharpening settings to look good, that because of the amount and type of detail in the image and the file size in kilobytes (web) or in megabytes (print). The tutorial above was inspired by an e-mail from Bryan Palchik. This is the last thing that I wrote to him, “You seem to be looking for a set of numbers that will yield a perfectly sharpened image each time. As you can see by reading the information above, there is no such set of numbers. Sharpening is an art that requires time, patience, judgment, and lots of practice. Canon 800mm f/5.6L IS lens with the EOS-1D MIII. ISO 400: 1/1250 sec. at f/7.1set manually after histogram evaluation. 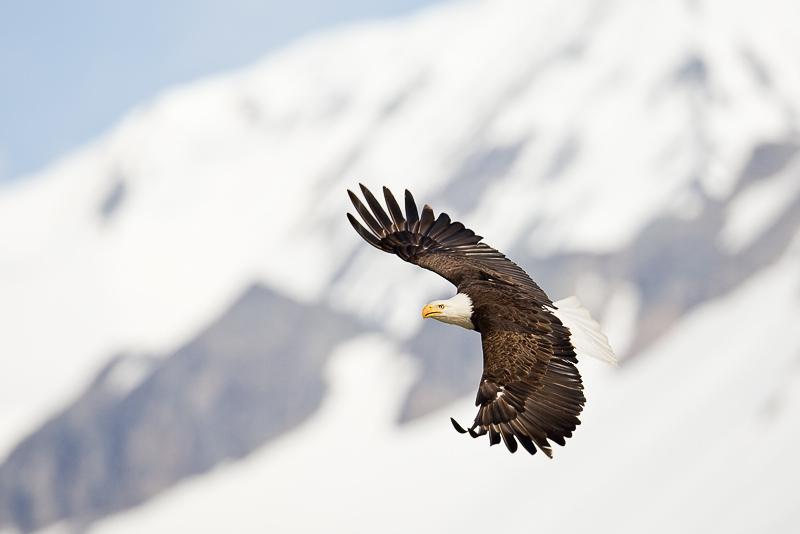 In most flight situations, it is best to work in Manual mode. Here, I added 2/3 stop to the meter reading off the blue sky 40 degrees up from the horizon and right down sun angle. Then I set that exposure manually. Thus, I did not have to try to add lots more light instantly when the bird flew in front of the white mountain. Had I been in either Av or Tv mode, I would not have been able to react quickly enough to come up with the correct exposure. If you are noticing that you have been receiving fewer Bulletins over the past few months, you really need to check out the BAA Blog at www.birdsasart-blog.com. In addition to lots of great images and up-to-the-minute info, I have added a new feature: Back to the Basics, and More. In each post I will review one basic tenet of nature photography and follow that up with a tip for more advanced folks. If you are not subscribed to the RSS feed, you are missing a ton of great free stuff. Honest. Be sure to click on each image to view a larger version, 800 pixels the long way just as in Bulletins. There will always be Bulletins, but by visiting the blog regularly you will see more, learn more, and have lots of fun at the same time. Did you hear the one about my kidney stone? 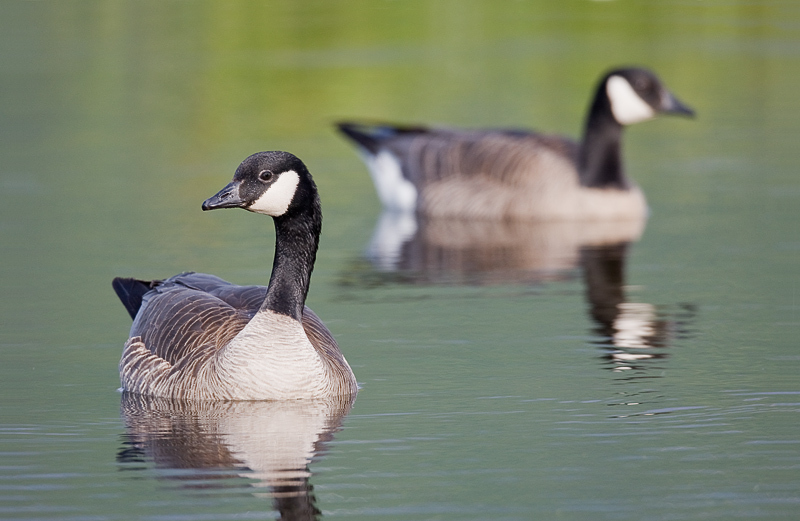 Check out the May 10th entry, "Exciting Day in Leamington, Ontario." I’ve said this here before, and I will say it again, the amount of learning going on at BPB is truly astounding. Great images, tons of info, lots of activity (five million page views per month), members from all over the planet (including lots of great new folks from India this past month), and thousands and thousands of honest critiques done gently. The Educational Resources forum is packed with great tutorials covering a wide range of subjects dealing with the most commonly encountered problems: overexposed images, poor head angles, over-saturated REDs and YELLOWS, and lots, lots more. 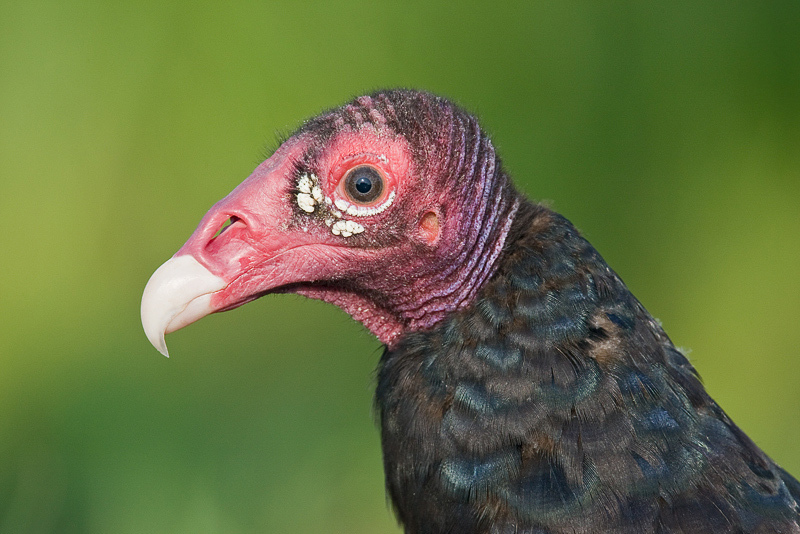 For the technical details and to learn whether images of ugly birds sell well, check out the BPN thread here: http://birdphotographers.net/forums/showthread.php?t=39126. Somewhat to my surprise, this image generated lots of comments. If you are interested in learning to make some money from your photography, check out my Resolve/Live Books blog post here: http://blog.livebooks.com/2009/06/alternative-income-streams-always-a-safe-bet/ Be sure to surf around as there is tons of great info on this site; I spent about two hours there on Saturday and came up with some great new ideas for increasing income here at BAA. Canon 800mm f/5.6L IS lens with the EOS-1D MIII. ISO 400. Evaluative metering +1/3 stop: 1/400 sec. at f/7.1 set manually. I love trying to created successful juxtaposition images, images that feature a sharp subject in the foreground and a usually somewhat o-o-f subject in just the right spot in the background. Notice the complementary head angles. I introduced this exciting new title in BAA Bulletin #291, but I forgot to mention two things. I wrote a “Digital Eye Doctor” tutorial for the book (on pages 281-283). I would be happy to autograph the book on page 283 if you request that when you order. The second thing that slipped my mind is that the companion CD has a great tutorial on using the Adjustment Brush. If you have CS-4 on your computer and do not know how to use it, this is the book for you. It is a third edition, written by Ellen Anon and son Josh Anon. Despite the title, about 80% of the text can be applied to most recent versions of Photoshop (especially to CS-3), and in addition, includes excellent coverage of for Photoshop Elements users. (The latter info is neatly set off in light purple text boxes.) The book is well written, the directions are easy to follow, and the numerous Photoshop screen captures ensure the reader a clear understanding of each concept. With coverage ranging from basic Photoshop concepts to fairly advanced techniques, the book has something for everyone (even me!) My emergency room reading inspired the Refine Edge Tutorial in BAA Bulletin 290: http://www.birdsasart.com/bn290.htm. And there is lots more in the book that I need to revisit while working on images. I learn best by doing as I study, and then rewriting the instructions to myself in an e-mail. And best of all you will find detailed instructions on how to use CS-4’s most powerful new tool, the Adjustment Brush, on pages 114-116. If you own CS-4 and have been confused by it at times, you will want a copy of this book. And if you are still using CS-3 as I am, and you have mastered everything in Digital Basics and in APTATS, then you too will want a copy of “CS-4 for Nature Photographers.” The book is available from BIRDS AS ART for $37.99 plus $5 shipping and handling (to US addresses). Your purchases of books and photographic accessories from BIRDS AS ART help support the creation of the Bulletin that you are reading now and the BAA Blog. 15mm fish-eye lens with the EOS-1D MIII handheld from the big boat. ISO 800. Evaluative metering +1/3 stop: 1/125 sec. at f/5.6. I borrowed the fish-eye from buddy Jim Heupel. We were quite close to the island. I had to lean over the rail of the boat to avoid getting it in the frame. I am still practicing and still learning to use the fish-eye. BIRDS AS ART FINE ART CANVAS PRINT EDITION: FIRE IN THE MIST/JUST TWO DAYS LEFT! The initial limited sale period for the classic Arthur Morris/BIRDS AS ART image, “Fire in the Mist,” will end tomorrow so you have just two days left to order our first offering. We will offer our second print in the nest Bulletin. This edition will be limited to 100 pieces of any size. Once the final print is sold the edition will be permanently closed making each Arthur Morris/BIRDS AS ART print a valuable collectible. Each 16 x 24 inch print is accompanied by a certificate of authenticity and by a pair of white photographic gloves and directions for safely handling your prints. We have now sold 21 prints from the limited edition. The last batch (for now) will ship no later than July 15, 2009. We are 100% positive that “Fire in the Mist” will become a collector’s item; thank you for your support of my work. Canon 800mm f/5.6 IS L lens and the EOS-1D MIII. ISO 400. Evaluative metering +2 stops: 1/800 sec. at f/8. This image was stitched together from five vertical frames created from the deck of the big boat. You can learn how to create and assemble the frames needed for a stitched panorama (plus tons more) in our Digital Basics File: https://store.birdsasart.com/shop/item.aspx?itemid=252. Do you think that my JPEGs look good? Complete instructions for creating JPEGs from your master files in three seconds via an action are detailed in Digital Basics, which also includes my complete digital workflow and dozens of great Photoshop tips. 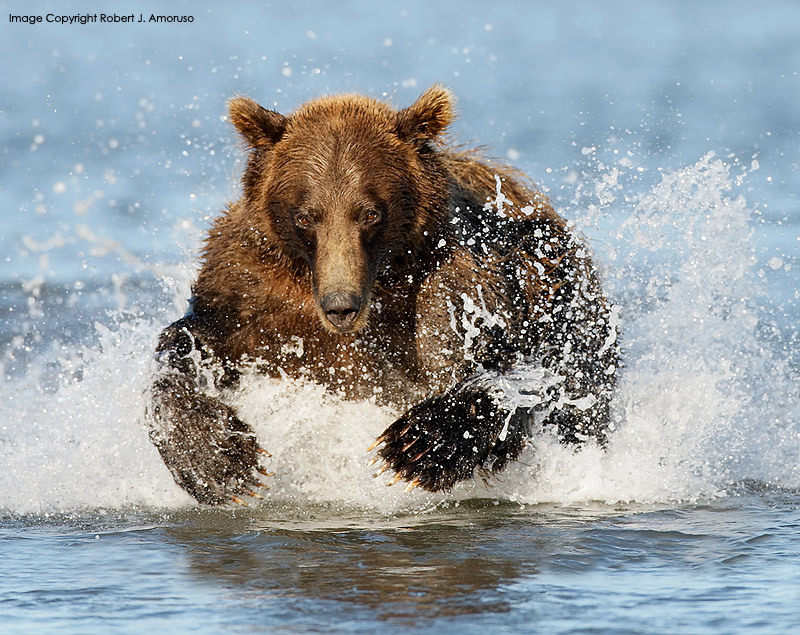 Who has not dreamed of photographing the coastal grizzlies at close range as they go about their daily business catching salmon? If you are at all interested in joining me for the trip of a lifetime, please e-mail (birdsasart@att.net) or call me at 863-692-0906. Do check out the brand new Katmai Bear Boat Gallery here: www.birdsasart.com/katmaibearboatgallery. If you do not think that you can make this trip, it would be best not to look at the gallery…. Bear Boat #2: Sept 4-10, 2009$6999. Openings: 3. (It is advised that you be in Anchorage on the afternoon of the September 2nd to be assured of not missing the boat!). This one is the bears-catching-salmon trip. In addition, Glaucous-winged and Mew Gulls eating roe are a certainty. 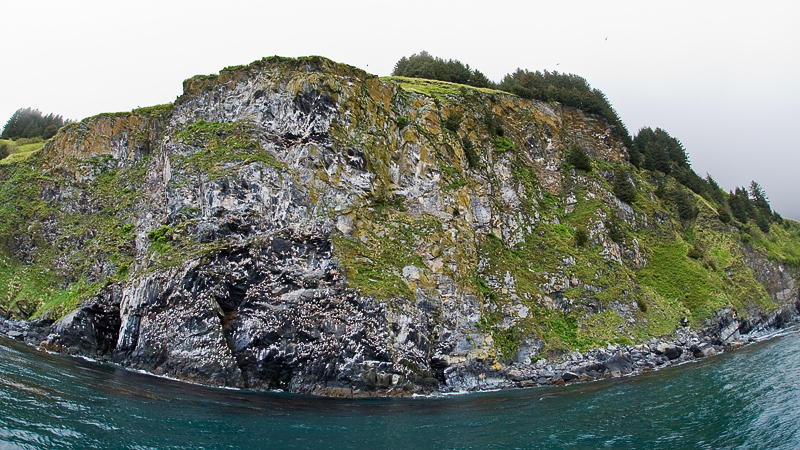 Dark phase Northern Fulmars and Black-legged Kittiwakes (including the gorgeous immatures), Harbor Seals, and Stellar’s Sea Lions are likely. Did I mention bears catching salmon? And more bears catching salmon? If you are curious about the trip or have any questions and would like to explore the possibility of joining me for the trip of a lifetime, please e-mail (birdsasart@att.net) or call me at 863-221-2372. I will do my very best to make it happen. 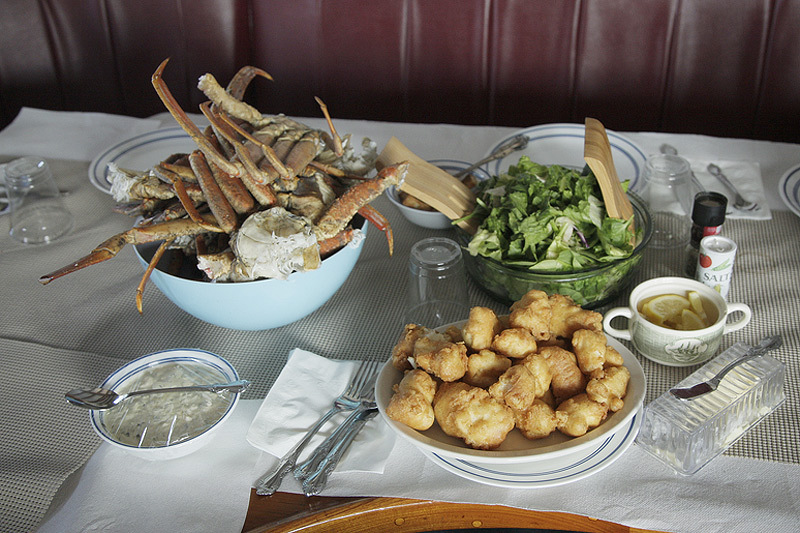 Fresh-from-the-pot tanner crab and fresh-from-the-ocean beer-battered halibut are hard to beat. Sherri (“I have a need to feed”) is slated to be the cook on the September trip. Living so close to the Everglades, we are constantly scouting the area to ensure that our participants will be where the subjects are abundant, giving you the best opportunities for excellent image making. A special emphasis will be placed on creativity and the creative process, from visualization all the way through your digital workflow. Living so close to the Everglades, we are constantly scouting the area to ensure that our participants will be where the subjects are abundant, giving you the best opportunities for excellent image making. A special emphasis will be placed on creativity and the creative process, from visualization, the digital workflow, to optimization. Just some of the techniques that we will help you with in the creative process are: capturing birds in flight, portrait making, optimal lighting (including front lighting, back and side lighting as creative alternatives), exposure, composition, sharp image making and out of the box thinking. Each day will include two “in the field” workshop sessions covering field techniques and one classroom session on Photoshop, Lightroom and creative plug-ins. During the workshops, we will always be available to critique your work. Slide show and orientation the night of Thursday, January 21st. We will guide you with gentleness and enthusiasm. 4 days of instruction: $1200 per person (does not include lodging, meals or transportation.) 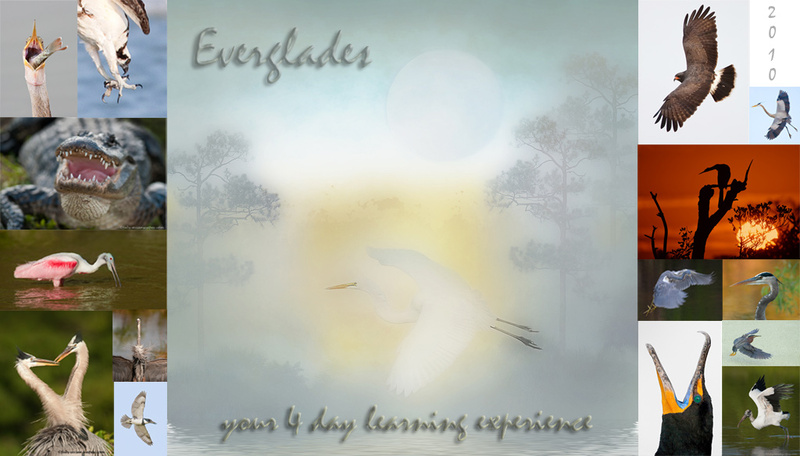 This will be our only Everglades group session of the year. Maximum 12 participants. Reserve your spot today, e-mail fabs@avianscapes.com for more info. Referrals are available upon request. FLORIDA SURF AND TURF, March 5-7, 2010. Please E-mail fabs@avianscapes.com for complete information. Silver Salmon Creek Lodge/Lake Clark National Park , Wildscape Images Photographic Instructional Workshop, August 14 to 20, 2009. 7-DAYS, 6-NIGHTS: $5250. Limited to 7 participants. 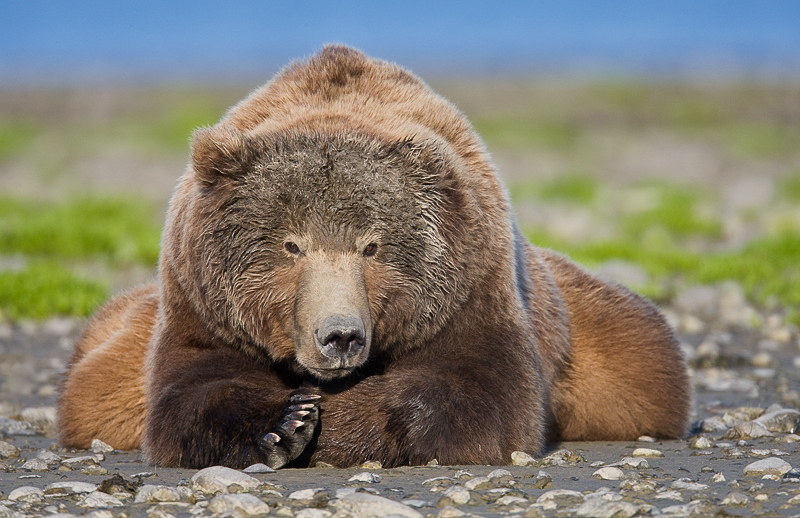 Powerful and proud Coastal Brown Bears (Grizzlies) catching salmon, colorful island-dwelling Horned Puffins, majestic landscapes and more - a photographic trip to Alaska can be the trip of a lifetime. Join me for a unique adventure; photographing Coastal Brown Bears that gather to catch salmon on Cook Inlet at the mouth of Silver Salmon Creek. We arrive the morning of August 14th and depart in the afternoon on August 20th - photographing in the afternoon the day we arrive, each morning and afternoon thereafter, and then on the morning of our departure. Though the bears are the highlight of this tour, we will be making a least one trip to Duck Island for Horned Puffins and Common Murres. Our accommodations are at Silver Salmon Creek Lodge on Cook Inlet in the National Park. If you think you will be roughing it, the fine double-occupancy sleeping quarters and excellent meals will dispel that notion upon your arrival. Our host, David Coray goes the extra mile to assure all are happy with their lodge experience. In August of 2007, I co-led a workshop with Artie Morris at this location with great success – read his report at www.birdsasart.com/bn240.htm. My first image below from that trip won 2008 NANPA Showcase Top-Ten honors. Between the morning and afternoon photography sessions, our indoor sessions will cover light angle, composition, in-the-field techniques, long lens technique, grizzly panoramas, High Dynamic Range Imaging, Photoshop and more. Those attending must be in Anchorage by August 13th for an early departure aboard a float/bush plane on the 14th. Included are the float/bush plane flights to and from Anchorage and the lodge, all meals at the lodge, guide service, transportation to and from shooting locations, accommodations and, of course, expert instruction in the field and at the computer. Travel to and from Anchorage and accommodations and meals in Anchorage are not included. For additional details, download the comprehensive brochure here: www.wildscapeimages.biz/storage/SSCL-Bear-PIW.pdf. Contact me at wildscapeimages@comcast.net, 407-808-4717, or send a PM through BPN. 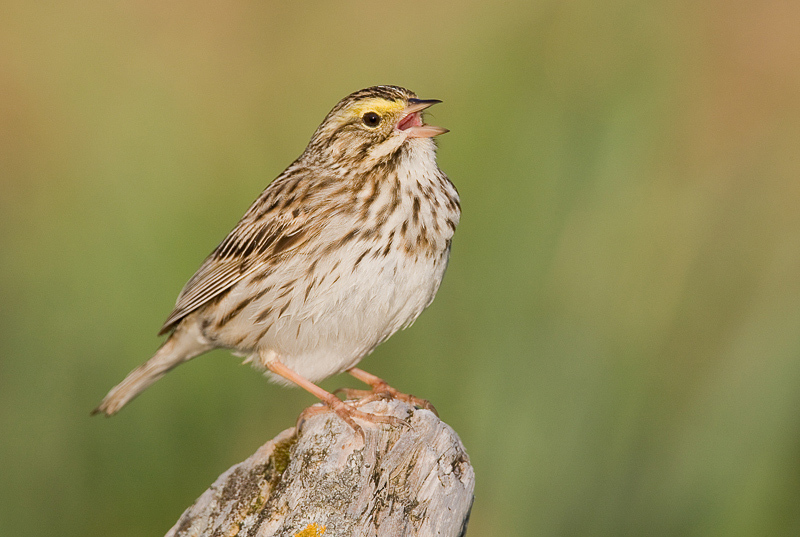 This image won a top-ten honor in NANPA’s 2008 Member’s Showcase Competition. Thanks to our expert Silver Salmon Creek guides for putting us in the right place. (Editor’s Note: that was me who put the group in the right place! artie). According to our host, David Coray, we’ll be at the lodge during the prime salmon run. 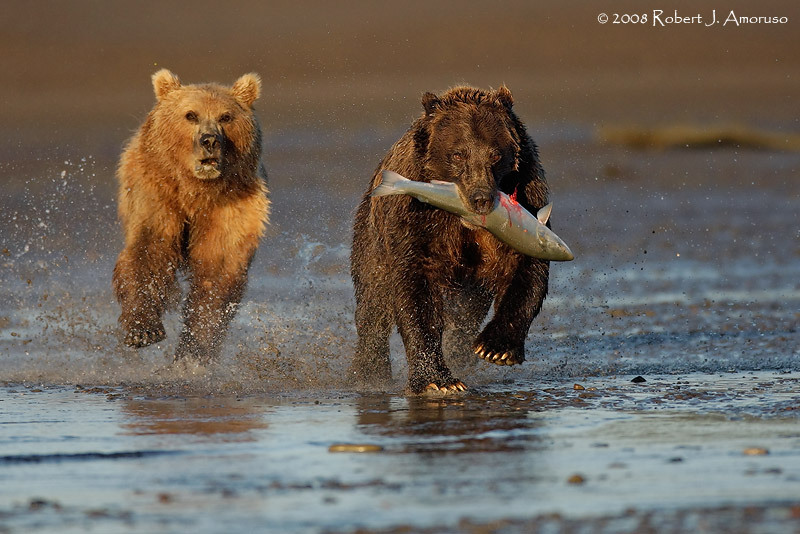 It does not get any better than this - a large grizzly pursuing a salmon. Bosque Photography Workshop 1. December 4-6, 2009 Bosque Del Apache New Mexico 3 days, $999, limit 6. Bosque Photography Workshop 2. December 7-9, 2009 Bosque Del Apache New Mexico 3 days, $999, limit 6. White Sands Photography Workshop: December 10-11, 2009 White Sands NM, New Mexico 2 days, $599, limit 6. Tripod-mounted Canon 180mm Macro lens with the EOS-1D MIII. ISO 320. Evaluative metering +1/3 stop: 1/320 sec. at f/10. I will be teaching fewer and fewer IPTs each year. The number of participants has been reduced, and the number of days in most tours have been increased. If you want to learn from the very best, do consider joining me in New Mexico or in Florida. BOSQUE del APACHE 2009 IPT: “The Complete Bosque Experience.” NOV 21-27, 2009. Slide program on the evening of Friday, NOV 20. 7-FULL DAYS: $3199. (Non-refundable deposit: $500.) Limit: 10/Openings: 3. Co-leader: Scott Bourne. SW FLA PRESIDENT'S WEEK IPT: FEB 10-15, 2010. Slide program on the evening of FEB 9. Slide program on the evening of FEB 11. 6-FULL DAYS: $2799. (Non-refundable deposit: $500.) Limit: 10/Openings: 5. Co-leader: Tim Grey! Imagine having Photoshop guru Tim Grey at your side to answer your Photoshop questions for 6 full days! 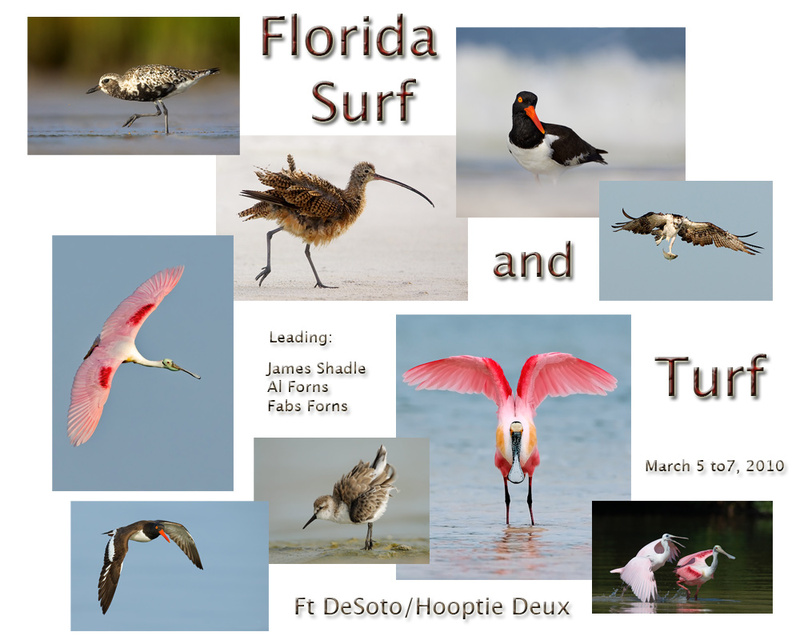 Escape winter’s icy grip and join me in Florida in the land of ridiculously tame birds. This IPT will visit Little Estero Lagoon which has been fantastic for the past three years (and been getting better each year), the Venice Rookery, several killer Burrowing Owl nests on Cape Coral, and several spots on Sanibel including Blind Pass, the Sanibel Fishing Pier, and the East Gulf beaches (for Snowy Plover). If we have a foggy drizzly morning we may visit Corkscrew Swamp and Sanctuary. 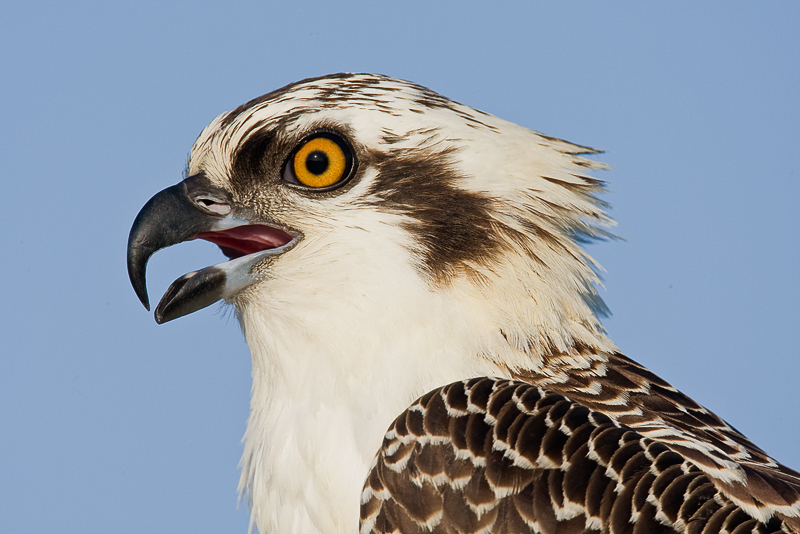 We have arranged for morning low tides at Little Estero and a setting full moon for our Saturday visit to the Venice Rookery <smile> For the first time ever, we will not be visiting Ding Darling NWR as photographic opportunities there have been diminishing steadily for the past decade. As you can see, I am teaching less and less, taking fewer folks, and lengthening the IPTs to allow for a slightly more relaxed pace with repeat visits to the best locations.